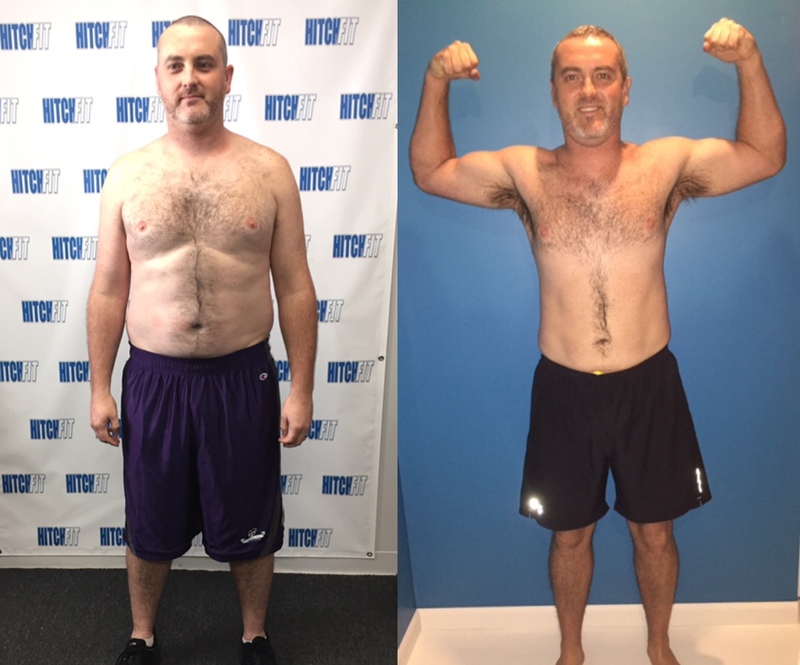 Kansas City’s Best Personal Training at Hitch Fit Gym leads to a nearly 50 pound weight loss for TJ! 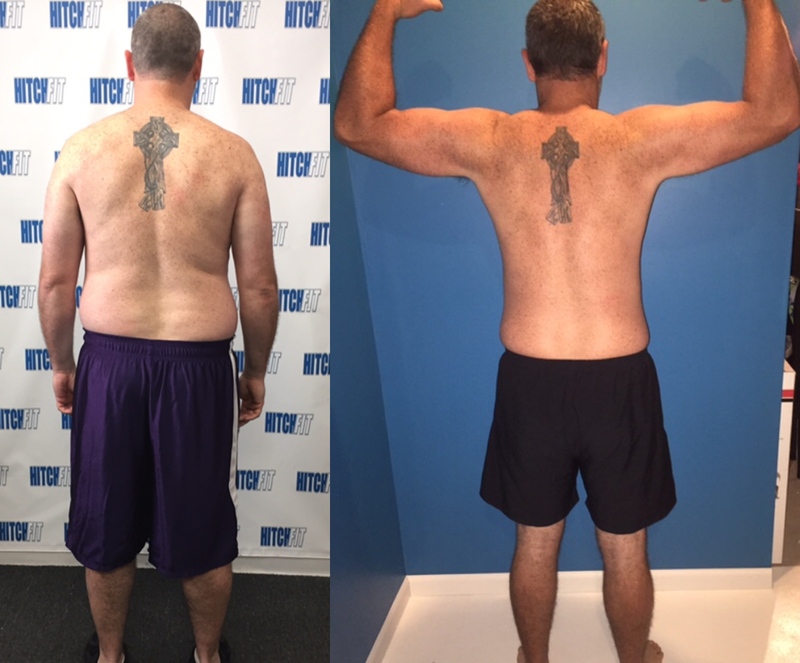 Kansas City’s Best Personal Training leads to an almost 50 pound weight loss! “Early 2015 I had a realization about how massive I had become over 10 years. I needed help and I couldn’t do it myself. Some friends had told us about a company in KC called Hitch Fit and explained how great it was for them. I decided to reach out to Micah at Hitch Fit following some research on the internet and seeing them on local television news stations. Micah put me in contact with Justin Gonzales. At the time I wasn’t really sure if I had the time or effort to put in into changing myself although I knew I had to. Work and family were always an easy excuse to avoid any major exercising or workout routines. Also, I wasn’t really sure that a personal trainer would be more than someone just looking at me and just throwing me on a machine. For the money I wanted reassurance that I would change if I was all in. I chickened out after talking on the phone with Justin because I just didn’t think I had the support from family or myself. I just couldn’t get myself to go all in. I wasn’t mentally ready. I waited a month or so then reached back out to Justin to tell him I was ready. I had the support of my wife and family, which is critical. I had my mind set and was focused on achieving my goals. Justin and I took before pictures (SHOCKINGLY SCARY) and measurements. We laid out our plan and how we were going to achieve my goal. When we first started I couldn’t believe how weak I was and how out of shape physically. It was alarming and scary. I was formerly a very fit and athletic person how did it get so bad so fast? I had become a blob of skin and fat. Justin reassured me and motivated me through 12 weeks of two one hour workouts a week and a strict meal plan. I began to shed the weight, change my habits and become more energized. The changes started happening which motivated me more. The path was set and now I just needed to keep following it. To say I stayed true to the path isn’t 100% true, I did fall off a time or two but Justin was always there to remind me of my goal and how far I had come. One of my hobbies is that I love “Home Brewing”. This is a very difficult thing to love to do while trying to stay in shape. The funny thing is from the start said I would continue to enjoy this hobby while changing myself. Could I get well beyond where I want to go by stopping what I love, yes, but my mental well-being is a very important part of my adventure. Home-brewing allows me mental focus and a release from stress but I know I have to work harder to get where I want physically because of it. I now have the energy, motivation and results to keep going. 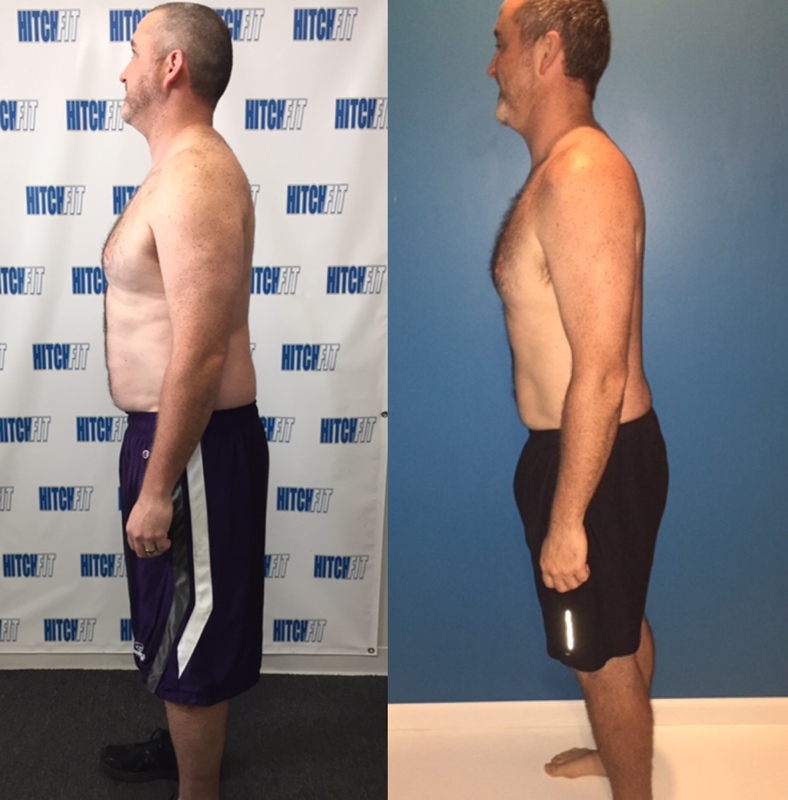 Over the 12 weeks I lost close to 50 pounds! I started around 256 and I now move between 210 depending on how well I’m staying on my path. My ultimate goal was to get down to 199-200 which I believe I can still achieve but a benefit to the way I train is that I am building Muscle Bulk now and staying at my current weight. For me a shocking result is in my bench press. Hitch Fit Gym Downtown/Midtown Kansas City, MO location at 3036 Gillham Road. If you are closer to Overland Park location contact us at 816-753-8900 to be set up with one of the trainers there. Hitch Fit Overland Park is located at 7431 W 91st St. Overland Park, KS 66212 – at 91st & Metcalf, next to Whole Foods Market.